When you click the Get Windows Live - FREE option, you will come across the page ‘Connect and share anywhere’ desktop-based application such as mail ,Messenger, Live Photo Gallery, Writer, Toolbar, and OneCare Family safety. Select your Windows Live suite package which you want to install on your system and click Install command option. Once Application downloaded, it installed one after another. The interface contains the same typical Microsoft’s design and some what resembles to Windows Media Player. 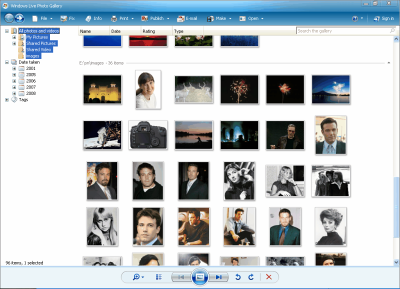 Windows Live Photo Gallery manages your photo and video easier than ever. More amazing, this Photo Gallery also works with third party services, too. So you can upload photos to your Windows Live Spaces, Flickr service, allowed to upload your video to MSN-Soapbox just in few clicks. You can work with and share your photos with the help of the Windows Live Photo Gallery and Windows Live Spaces. You can directly publish your photos to space from your mobile phone or desktop. It becomes easier to share your memorable life with the people with the help of this powerful application. Windows Live Photo Gallery can be used for stitching many photos together for amazing shots, star rating, tagging the photo by dates, give a touch up to the photo. 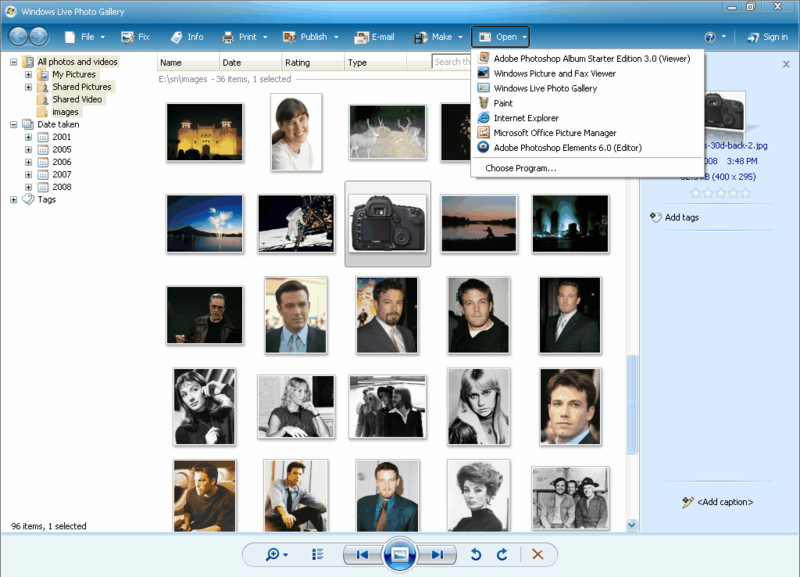 When the photos from cameras are imported they are automatically rotated in straight images by Windows Live Photo Gallery. 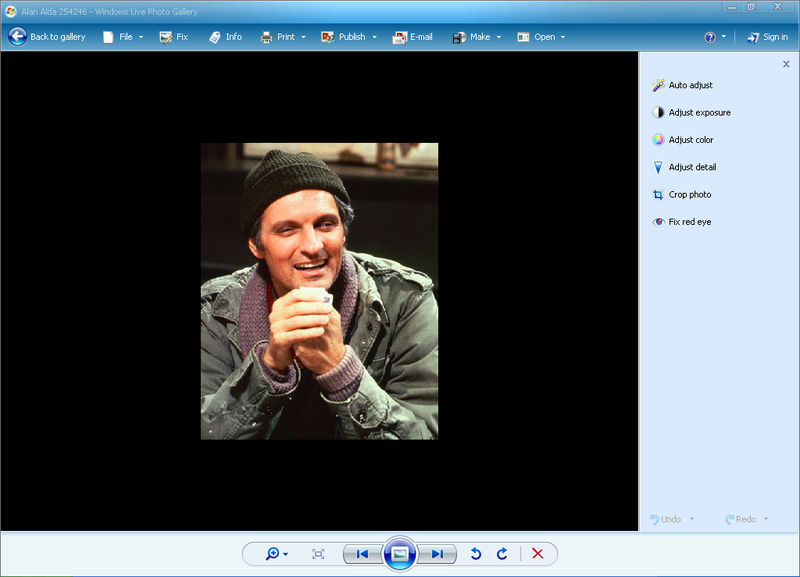 Using QuickTime support, preview of any video that is mixed up with your picture is possible. When you place the mouse pointer on any of the image or photograph a large thumbnail view of the picture is visible. But this feature does not work each time some time it fails to give you the view. There is no reason available to this problem. At time when we have to email the picture and click the E-mail button the default mail client is not opened. So it would be better if the click at least took you to Windows Live Mail or Hotmail. The drawback of the Windows Live Photo Gallery is that it is very difficult to resize your photos easily and doesn't present color scheme customization. You can view, manage, and edit digital photos and videos. All of the photos in the Pictures folder on your hard drive also the photo which are just imported come in the Gallery. 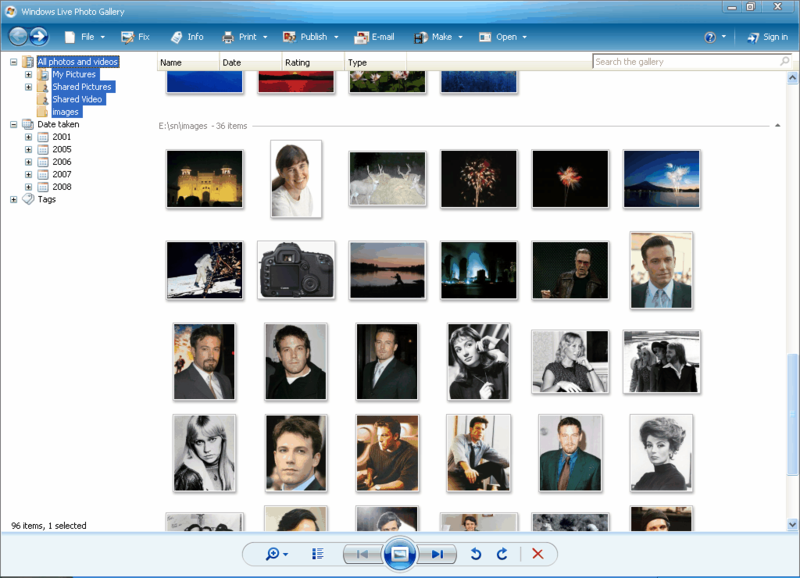 Addition of photos to Photo Gallery by copying them from a digital camera, memory card, scanner, album on Windows Live Spaces, CD, DVD, and hard disk. Searching your photos and videos quickly. Enhancing and enhancing your photos using different editing tools such as crop, color adjustment, red eye fixing and many more. View, Import, and manage video files. Sharing your photos and videos. Windows Live Web helps you to learn about all of the Windows Live services that are currently available.